Love babies, but hate their screaming? 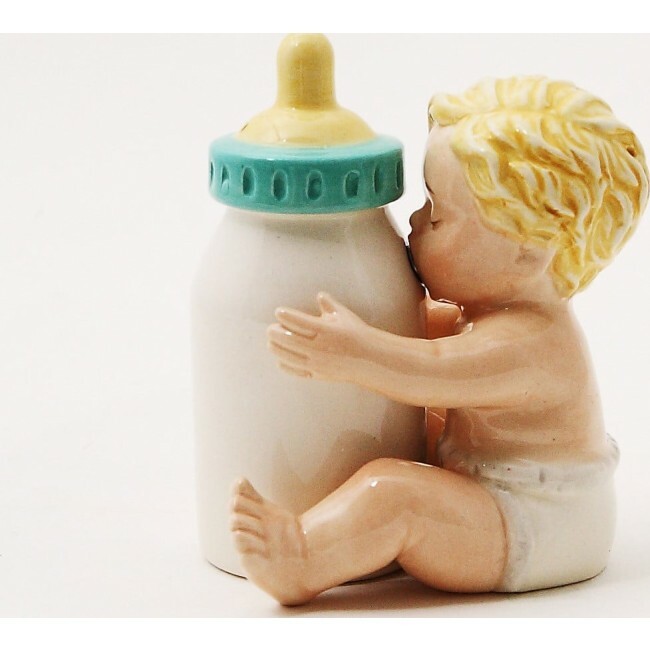 Baby with Bottle 3.75" Ceramic Salt and Pepper Shakers is peaceful, and will look adorable in any kitchen! Makes a great gift for a baby shower. Features a magnetic insert to hold the two shakers together.